No one can accuse Alexandra Horwood of resting on her laurels as she targets another bumper year. 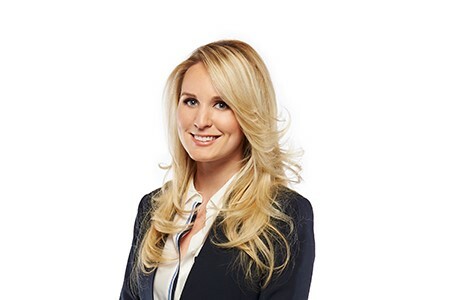 She has set herself, and her team at Alexandra Horwood & Partners, Richardson GMP, the task of attracting $50 million in new assets and another 15 clients with $1 million-plus liquid net worth in 2019. It would represent another major step forward for the advisor who grew her book 15% last year to $242 million. Horwood believes there is only one way to hit these marks – and that’s by doing an exceptional job for clients. She believes her goals are aggressive but realistic and her practice is already off to a solid start, with $5 million of new money added to the ledger in January. She told WP: “Clients are always first for us. We treat them like family and are dedicated to their long-term success. We have to provide value, we have to listen and we have to take action. About 95% of Horwood’s clients come from client referrals, with the other 5% coming via Google “best investment advisor in Canada” searches that often highlight WP’s Top-50 list. The latter busts the industry myth about internet leads but Horwood believes gaining and keeping clients is more of a “personality match” and that if you are a hard-working advisor who puts their client first, it shouldn’t be hard to impress. Being at the mercy of the market, however, is a greater daily challenge for her office and her portfolio mix is inspired by a quote from her mentor – “if you try to time the market, 50% of the time you are wrong and 50% of the time you are lucky”. She said: “I always maintain a balanced approach to investing using a mix of diversified fixed income, risk-adjusted equities and alternative investments. We maintain that balance regardless of what happens in the market because we cannot control that. Our strategy is to use our investments as a tool to achieve our clients’ long-term goals. Back in 2008, the S&P TSX Composite was down -12% and the TSX Venture plunged -35%, presenting real issues for advisors and investors. It’s at these times of volatility that setting reasonable expectations in the planning stage and communicating effectively with your clients come to the fore to provide reassurance and guidance. The recent WP Top-50 advisor list yielded just four women, highlighting again how men dominate the industry and perhaps the work that needs to be done to address the imbalance within the industry. She said: “This is not a traditional career path, there is no maternity leave for successful and growing advisors. There was not a single day after I had both my children that I didn’t work and wasn’t available from my home office.